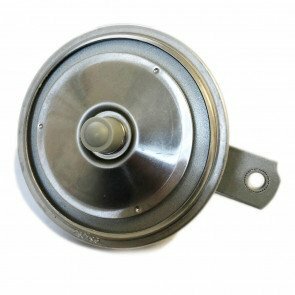 We stock a variety of horns by Durite, Lucas replica and 'universal' horns. 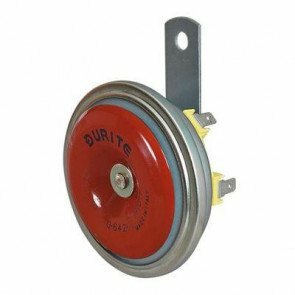 We have electric horns such as diaphragm type disc horns, compact disc electric horn with high or low tone, trumpet horns, compact disc trumpet horns, marine trumpet horns, marine electro-magnetic trumpet horns, twin electro-magnetic trumpet horns and electro-pneumatic “old style” trumpet horns. 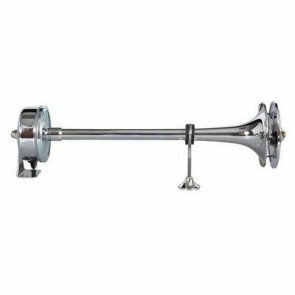 In our air horn category, we have single commercial air horns, twin commercial air horns, a commercial deep low tone air horn with a moulded black body and trumpet and twin tone air horns. 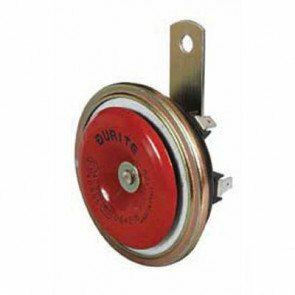 We also stock electric solenoid valves for commercial air horns, a brass foot-operated air valve for commercial air horns and a dust shield for single air horns. The Lucas replica horns (and universal horns) are available in a variety of sizes and finishes-chrome or satin black and 6V or 12V. 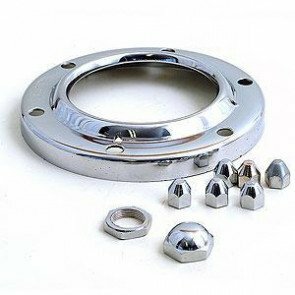 We also stock the mounting brackets, bezels and nuts. 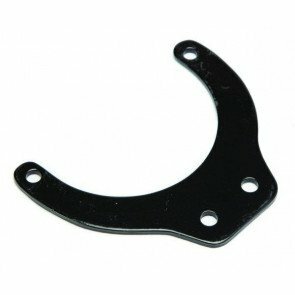 GS11049 - Horn Mounting Bracket -Lucas Replica Altette,2 Hole,1/8"thick steel. 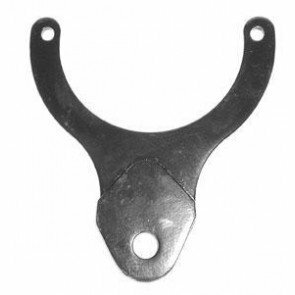 GS11049S - HORN BRACKET - Lucas Replica Altette,single bolt,1/8" thick steel. GS11050 - Bezel & Nuts - Lucas set for the Altette Horn,high quality chrome. 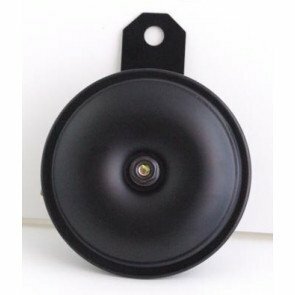 GS11048B - HORN - Lucas Quality Altette replica,cast iron body,12V.